Entrepreneurs are the value drivers of the modern world. And those entrepreneurs can be in big companys and small companys. They are people that are daring to try do new things. Website builders like Easysite have helped hundreds of thousands of people build a business online and make lots of money for their owners. Super-fly guy: Could you follow in the famous footsteps of Virgin billionaire Sir Richard Branson? Mark Zuckerberg a millionaire by the time he was 20 and a billionaire by the time he was 23. Microsoft founder and philanthropist Bill Gates was considered to be a 'bad boy' in his early life. Some of them have become huge and have changed how we view the world. Its not like twenty years ago when you would need thousands of dollars to build a business. The power has gone back to the people. You can go build your own online business even if you have never built a website. The proof is on the world wide web. People just like you are learning how easy it is to create an online business by building their own website and using it to sell stuff online or to tell people about their business - no web design or coding knowledge required. The people who are getting ahead and building their online business, everyone of them is doing something they were not qualified to do the first time they did it. How Can You Suceed Online? Have you ever had a great business idea that you want to explore? 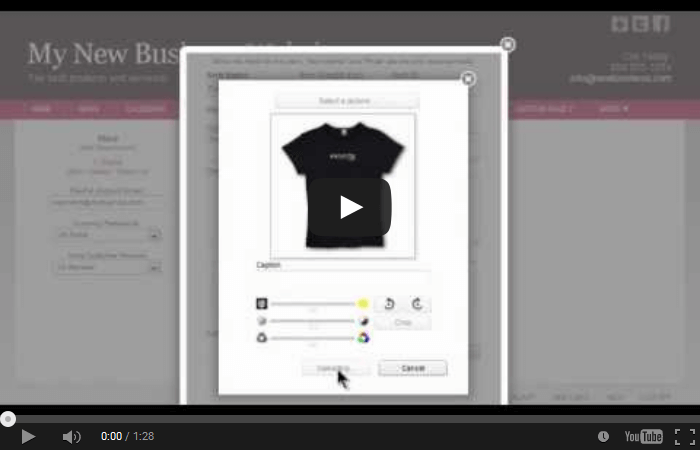 Here's your chance - launch your own online store using Easysite and build a business that you can be proud of. You don't need to learn coding. You don't need to hire a web developer and waste money. To build a business you could look for something to sell online. Or maybe you already have something in mind that you can sell on your own online shop. You could even make money using affiliate links and start an online business by selling other peoples products. To build a business. Take your idea of something to sell online and build your online business with the help of an eCommerce website builder like Easysite. Add pictures of your products, display your products, receive an online payment and then distribute the sold item. We are so confident that you will love our website builder to build your online business that we want you to be our guest and try our system free for 30 days. We don't want your credit card details or bank card details - just fill in the form below. You will be able to use all the features our site builder has to offer free for 30 days and see how easy it is to create your own business website. 1. Research Your Market - What ever type of business you are going to get involved in do some research before you build your online business website. Make sure you know exactly what you are up against. Have a look at the competitions business website. Make notes on what you like or dislike and apply those notes when you build your business website. 2. Set A Financial Goal - Try set a reasonable goal after all you did build a business website to make money. Review your goal every three months. Always push to achieve the goals you have set for your business. 3. Develope Your Own Brand - Its important to have unique content thats well written when you are developing your own brand. You need a site that reflects your business, a site that your readers and viewers can reference back to, for more of your incredible content or products. 4. Build A List - One of the most important things you need to do when you build a business online is to build a email list. People that visit your site should be able to sign up to a email list. This could result in future sales from newsletters and special offers. 5. Launch A Product Or Service You Can Sell - When creating a business website make sure you have a great product or service that you can sell. Keep your site updated and if the product is not available remove it from your site. 6. Research The Niche - If you are starting a new online business from scratch then you need to choose your niche. If you don't already have a niche in mind try choose a profitable niche remember your niche should also be something you have a passion for and love to do. With the explosion of the internet and social media lots of new entrepreneurs are recognized daily. Lots claim to be experts in their field what's going to make your business plan different? The competition could be quite stiff. Remember an online business offers an unparalleled opportunity to run a business worldwide with only a laptop, Internet connection and Easysite.com. Start to build your business online today for free - Scroll down to the bottom of the page, fill in your details and press the blue get started button. This will give you full access to our website creator for 30 days. After the trial you can continue to build your online business using our site builder for $19.95/month. If you require any help please contact us for a free call back and one of our experts will call you back and show you how to create your own website. I would like to tell anyone that wants to build a business website that they should try Easysite. From the moment you sign up you will see why its called Easysite. I built my business website from scratch and was impressed at how easy it was to create a website. We run a busy restaurant business and don't have a lot of free time. We needed a quick and easy solution to build a simple business website. A business website that we could update when we had the time. 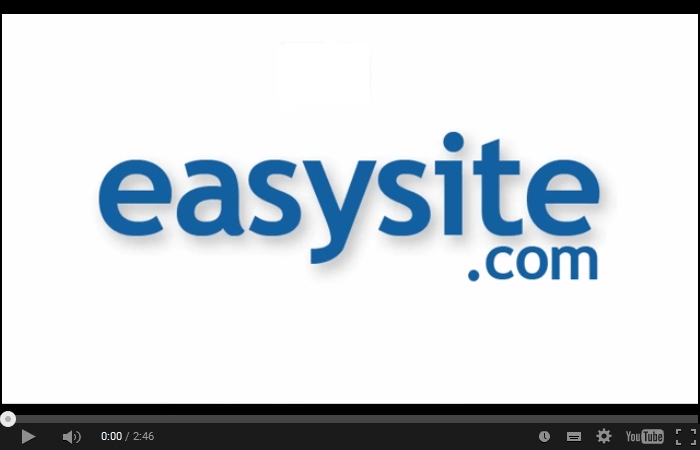 Easysite was the solution - its quick and easy to build a website with. I wanted to sell my music online, found Easysite and used the free 30 day free trial to build my website. Its great people can buy my music directly from my online shop. It was easy to set up and use that I can highly recommend Easysite if you are going to build your own business website.